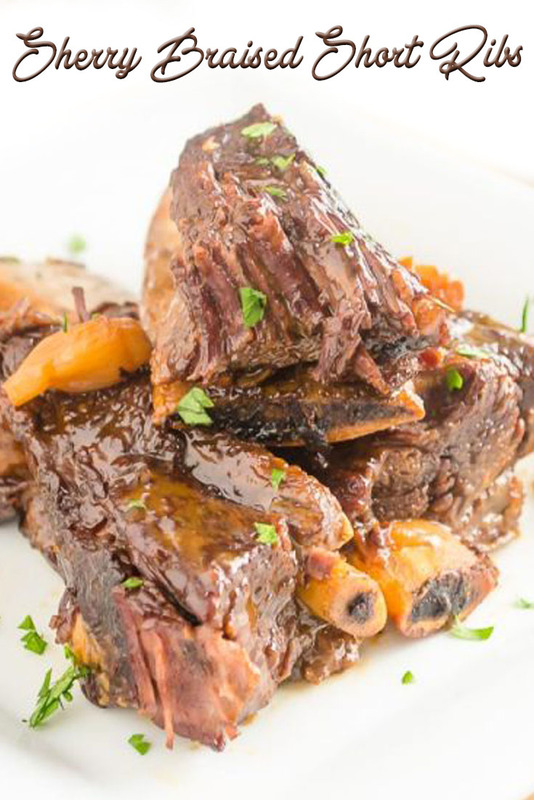 Season the short ribs with salt and pepper and allow to come to room temperature while you prep the other ingredients. Heat 1 tablespoon of olive oil in the pressure cooker with the lid off over medium heat. When hot, add the short ribs, being careful not to overcrowd the pan. Brown both sides until golden, and set aside. Degrease the pan, then add the other tablespoon of olive oil. Add the pearl onions, browning slightly, about 1-2 minutes, then add the garlic and sauté 30 seconds. Add the sherry and deglaze the pan, scraping up the brown bits. Add the ribs back to pot, along with the carrot, celery, bay leaf, thyme, parsley, and beef stock. Place the lid on the pressure cooker and lock it in place. Set the pressure cooker on high, and turn the stove top on high. When the pressure cooker releases steam and comes to pressure, turn the heat down to medium and cook about 45 minutes. Let the pressure cooker come back down to pressure naturally and check for doneness. If the ribs aren't yet tender, bring back up to pressure and cook another 10-15 minutes or until very tender. Remove the ribs and vegetables from the pot, and thicken the sauce if necessary with a mixture of 1 teaspoon cornstarch mixed with a bit of water and cook until it reaches the desired consistency. Season the sauce with salt and pepper, if needed, and serve!